"The Mall, Showing Biltmore Hotel and Depot. Providence, R. I." by Berger Bros., Providence, R.I. The Mall, Showing Biltmore Hotel and Depot. 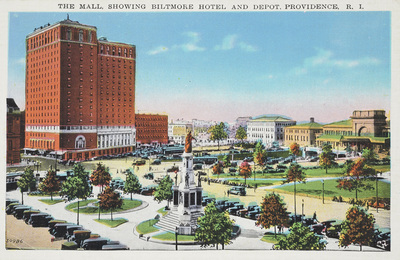 Providence, R. I.
Berger Bros., Providence, R.I., "The Mall, Showing Biltmore Hotel and Depot. Providence, R. I." (1935). Rhode Island Postcards. 69.